Local news in Italy is reporting there was a gunshot scare onboard a MSC Cruise ship while docked in Venice, Italy on June 18. In today’s world hearing a gunshot would no doubt cause panic and worry. When the MSC Magnifica was docked at its home port in Venice Italy last Saturday a security guard’s gun somehow made its way into a ship’s security guards hand. The gun went through the ship’s metal detectors in a metal box, a security crew member picked up the gun and accidentally shot it at one of the walls. Thankfully the bullet hit the ground and finally got stuck in a wall. When the gunshot went off, all those around were in shock. One passenger fainted and was taken to the ship’s medical center for further attention. As a result of this incident the local police have started an investigation. Security staff onboard cruise ships don’t use guns so depending on their past may not be familiar with them. 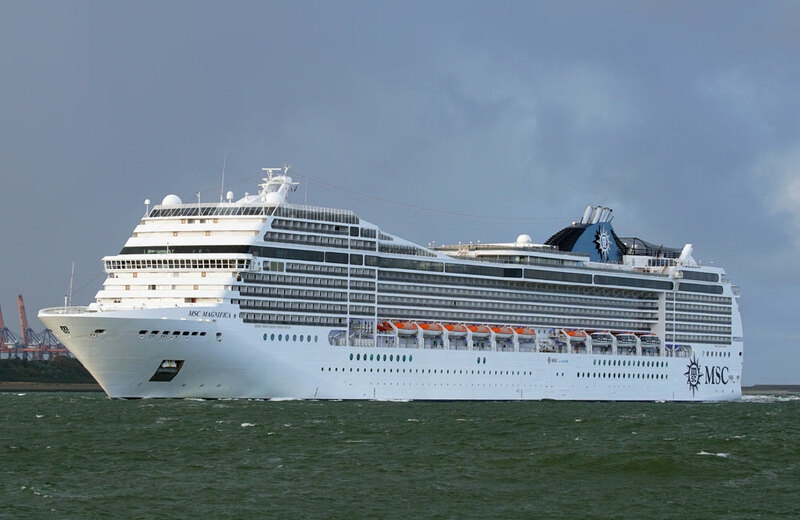 MSC Magnifica is a 92,400 gross ton vessel carrying over 2,500 passengers. At the time the ship was preparing for its next cruise, a 7-night Mediterranean sailing.